Effective today, October 31, Rwanda’s premium coffee, tea and handcrafts will have to access all online Chinese and global markets – courtesy of the launch of electronic World Trade platform in Africa signed in Rwanda. 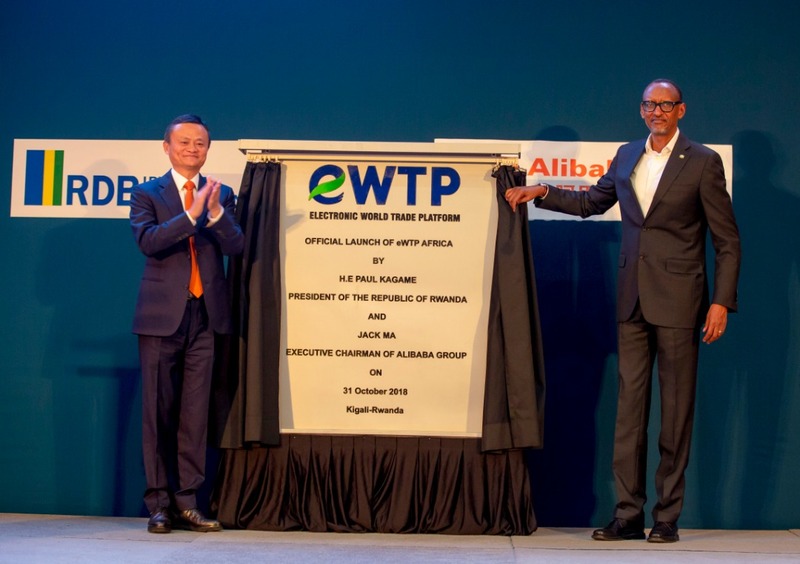 President Paul Kagame and Alibaba Group Executive Chairman Jack Ma, launched first Electronic World Trade Platform (eWTP) Africa hub – the second outside China. The first eWTP hub was launched in Malaysia in November last year. 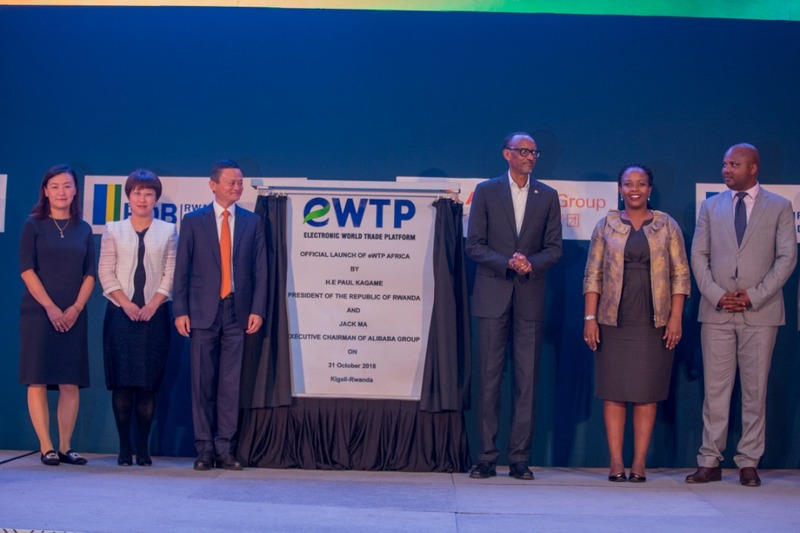 At the historic launch of eWTP hub in the capital Kigali on Wednesday, October 31, 2018, Jack Ma said: “I have been waiting for this day almost for ten years. 10 years ago when I started Alibaba, I knew that internet was going change the world,” Ma said. E-commerce and tourism, according to Dr. Clare Akamanzi – Chief Executive Officer of Rwanda Development Board. 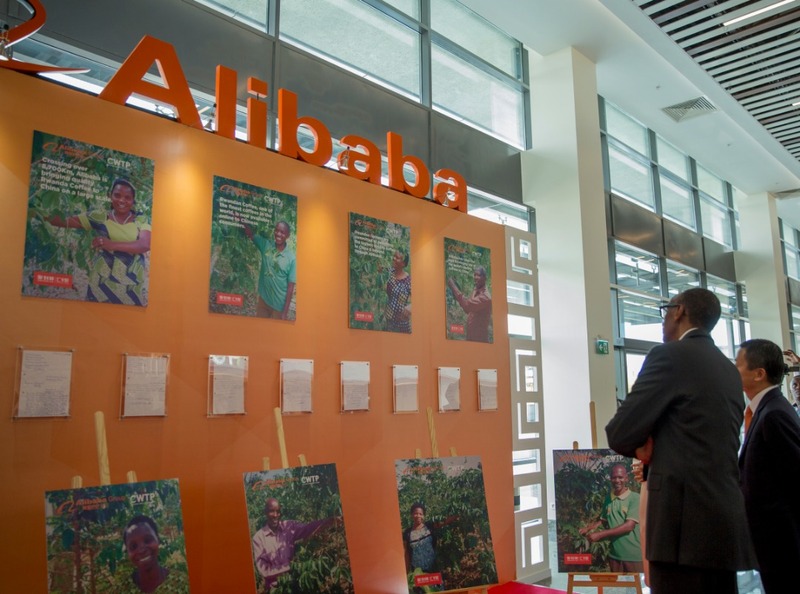 What attracted Jack Ma to invest in Rwanda? 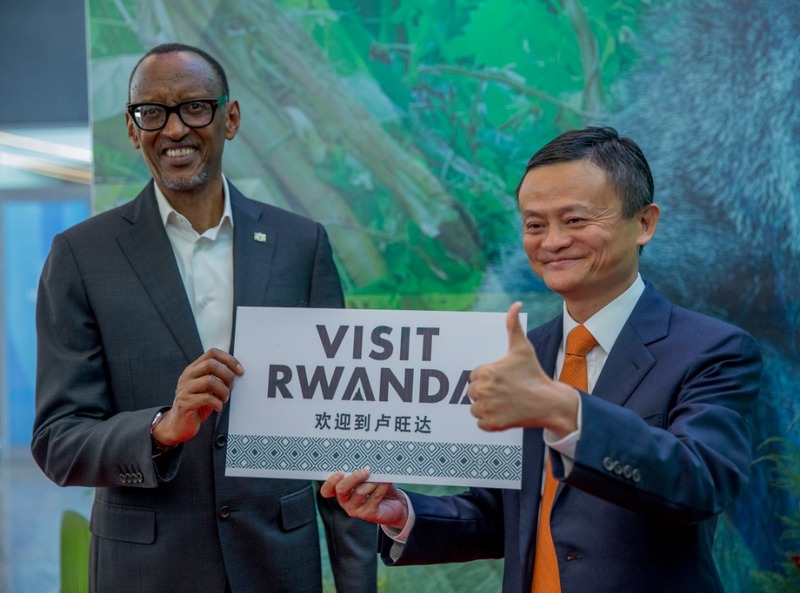 In his speech after the launch of eWTP, President Paul Kagame said that when he first discussed the deal with Jack Ma, he never saw any doubt on his face – as has been the case with so many other investors he met. “When I met him (Jack Ma) first time and we talked, it was about Rwanda…it was about Africa, e-Commerce and many other things. But when I requested him to come to Rwanda and together we find what we can do to not only improve the lives of Rwandans but by extension Africans, I didn’t see any doubt on Jack’s face,” Kagame said amidst applause from the audience. “They think it should all be about being helped, begging or as Jack said many things…about disease insecurity, poverty…but Jack is a believer and decides what to believe and in most cases he believes correctly. So I am glad Jack, me and Rwanda did not disappoint you. You are welcome,” Kagame said. On Jack Ma’s side, it is the 4th time he has met and talked to President Kagame and was amazed by the way he cares about his country and his people. “In this world, we believe seeing is believing. Very few people, we believe that we saw. Your President is the person believing in future,” he said. “We are very excited to see that we are selling Rwanda coffees. With a short time, we sold more than 1000 packages of Rwanda coffee. Of course you got the greatest coffee in the world. What impressed us is not the product you have. It is the team you have…the government efficiency,” he said. Meanwhile, through eWTP, a Rwandan farmer will be able to pick $12 per $16 sold on the platform – an increase of $4 compared to what the farmer has been getting when coffee is sold in the US.